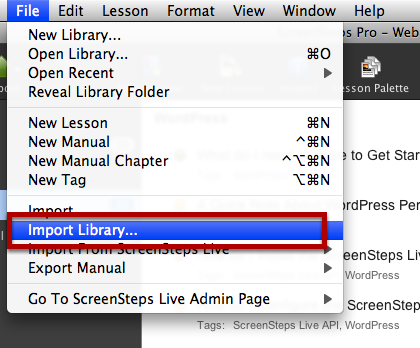 This lesson will show you how to import one ScreenSteps Library into another. Begin by opening the ScreenSteps Library you would like to add lessons to. Then select the File > Import Library... menu item. 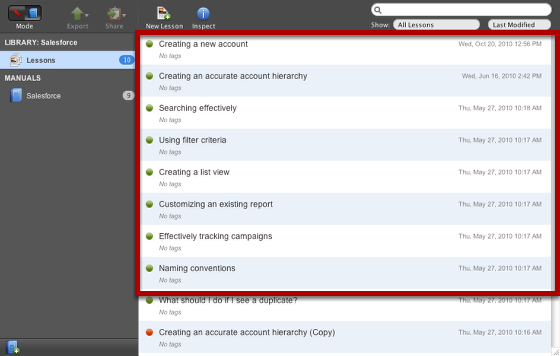 A folder selection dialog will appear. Select the ScreenSteps Library folder you would like to import. 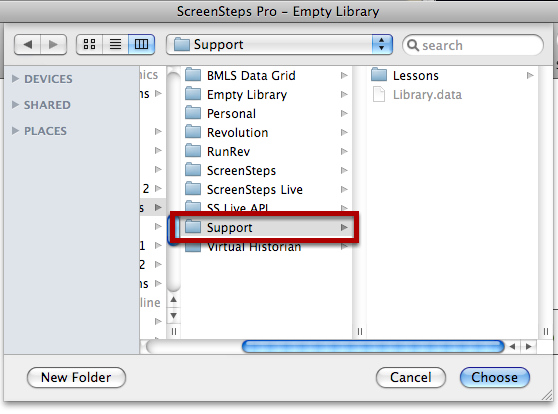 A ScreenSteps Library folder contains a file named Library.data and a folder named Lessons. After selecting the folder the import process will begin. When the import operation is complete all content from the library you selected will have been imported into the current library.